Place where user can download the operating manual for each model. Download the latest firmware, to improve the function of ODD. Place where you can check the SPEC for basic model of each product group. 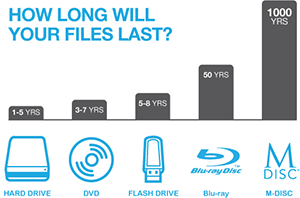 Lifetime preservation of your memories with M-DISC™ technology. Exceptional data storage longevity by supporting ISO 10995 discs. It supplies the newest information by continuously updating information, and it is managed to solve the users curiosity or inquiry by serving standard answers related in homepage and product use in advance. You can find the Q&A; that can occur while using the product. You can find the Q&A; about using the functions of Optcal Smart Hub. You can find the Q&A; about the product. You can find the Q&A; about using the functions of AV Connectivity. You can check the questions and answers of MyStory. It supplies causes and solutions according to the classified conditions which often occur while using ODD products.